ÅF has been commissioned to project manage the construction of a dam outside Arvika, which will protect the town from flooding. In addition to project engineering (construction, electrical and mechanical installations), ÅF will also carry out a geotechnical survey and draw up tender request documentation. The dam will extend across the channel between the inlet Kyrkviken and Lake Glafsfjorden. 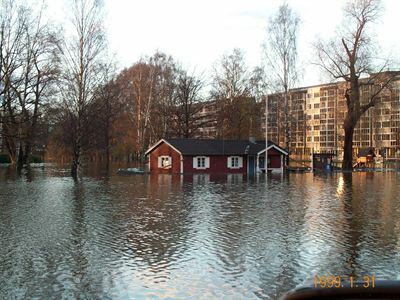 When water levels are normal, the channel is open to shipping, but it will be possible to close it completely in the event of high water levels in Lake Glafsfjorden. ÅF will also project manage the construction of a pumping station as an integral part of the main dam. “The pumping station will be capable of pumping 30 cubic metres of water per second, which places high demands in terms of accessible technical solutions and dependability,” says Anna Grönlund, Project Manager at ÅF. Construction is due to start in summer 2016 and the dam is expected to be completed at the beginning of 2018. The assignment is worth approximately SEK 7 million. The client is Arvika Municipality. Previously ÅF has also been responsible for project managing the construction of the dams at Tännfallet’s power plant in Härjedalen and Långed’s power plant in Dalsland. For further information, please contact Anna Grönlund, Project Manager at ÅF.